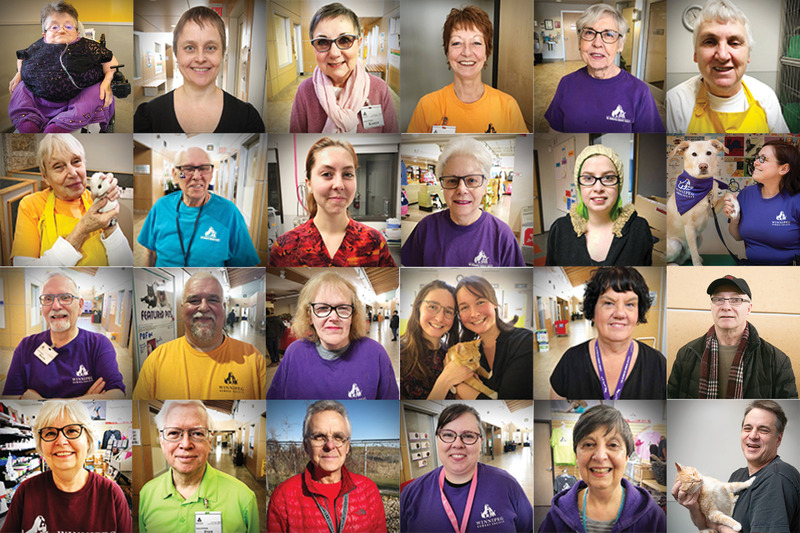 It is National Volunteer Week and we wanted to take the opportunity to thank all our wonderful volunteers and shine a spotlight on the work they do. Our volunteers are the heart of what we do, and we can’t thank them enough. They are passionate about the work they do at the WHS, and we couldn’t do what we do to help the animals without them. More than 700 volunteers put in over 40,000 hours this last year to help the WHS. There are so many different kinds of volunteers at the WHS, from fosters, to corporate teams and our individual volunteers. Our individual volunteers at the WHS help work in retail, adoptions, animal care, intake, education, clinic, behaviour, community outreach, donor relations, special events and in the shelter and foster departments. There isn’t a part of the WHS that runs without them. It is because of them that these animals can find forever homes. And because of them the animals in our care are loved for while at the shelter or sent into foster homes. We have seen cat enrichment volunteers who will sit in the cat rooms and read to them. Or quiet time volunteers who spend time brushing the dogs until they fall asleep in their laps. Simply put our volunteers are the best; they go above and beyond in the work they do. You can see the compassion for the animals in each one of our volunteers. So, for National Volunteer Week we want to thank them for the work they do and the way they do it. If you’re interested in becoming a volunteer and joining our team of #WHSHeroes you can apply online at winnipeghumanesociety.ca.